Where the greatest minds of history have failed, a former advertising executive unsurprisingly also fails. I'm not a big fan of biographies, but although this has some of Jimi Hendrix's life history, it's primarily a cultural analysis of his influences and influence on rock music. Inspired and interesting enough to forgive the occasional lapses into NME style inky-speak (which, to be fair, Shaar Murray did help create). Full of wonderful little insights and easily fulfilling the basic requirement of any book about music: it made me want to go and listen to Hendrix's albums again. Darker and with a higher body count (particularly of the good guys) that usual. Big target: organised religion and what it will do to protect its own hegemony. Compelling as ever, some nicely drawn characters, as ever, but a little less satisfying that some of his other books. Concise but informative book about running. Contains some useful information about training that isn't running (weight training and so on), but generally no new info over other books I have read. This isn't just an enjoyable behind-the-scenes look at the classic 1995 BBC costume drama, but an insightful, er, insight into just what it takes to make such things. The first thing that strikes me is just how many people are involved - something that should be obvious to anyone who spends more than ten seconds considering the matter, but nevertheless easy to forget. The second is the sheer scale of effort involved in making it. Some poor soul has to note every single action and prop for continuity purposes. Now that's a job for someone with an eye for detail. Sophie Kinsella's more famous "Shopaholic" series fails to strike a chord with me but this is a very funny romcom. It's firmly in the Bridget Jones vein of hapless woman caught in misunderstandings and mishaps partly of her own making, but all working out for the best in the end, and I could easily see it being made into a film. I enjoyed it very much. The title Make Room For Daddy is one of the worst I know of, but that aside, this is one of my favourite romance novels, a sweet, gentle story set in Chicago about a baker and the man who moves in next door. Vince Clarke does what Vince Clarke does. 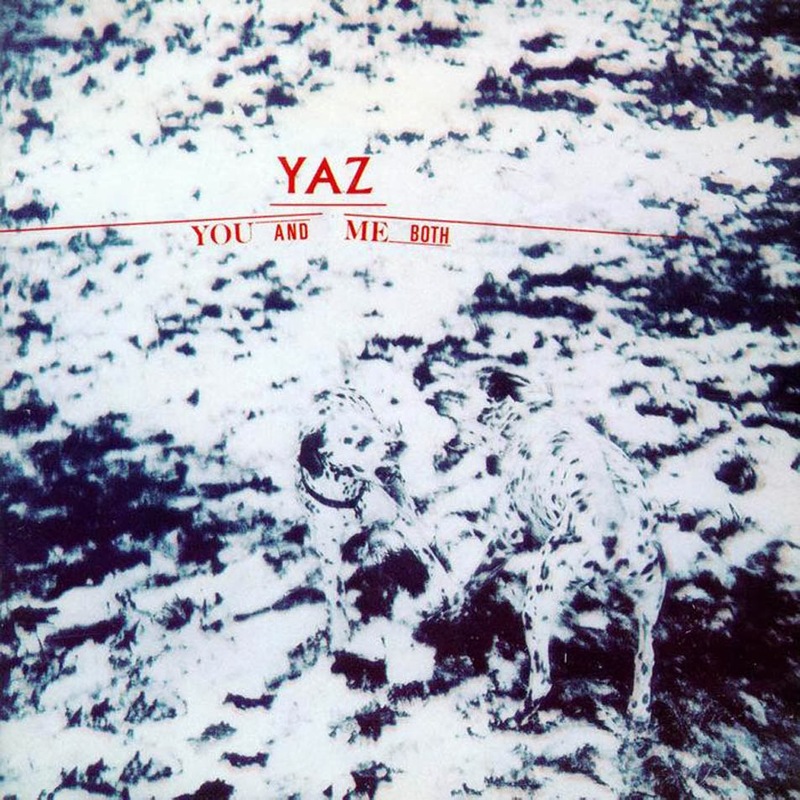 Formative, influential synth-pop ... yadda yadda yadda. Listening to this now, what strikes me most is the minimalism. Perhaps this was imposed by the technology of the day - and many of the synth sounds are classic, tinkly, early digital settings - but it makes for some very clean arrangements. Nothing superfluous, just a drum machine, a couple of Vince Clarke tracks, and Alison Moyet singing over the top. When you get a song of the quality of "Nobody's Diary", which towers over everything else here, the stripped down arrangement sounds fantastic; the combination of Moyet's soul vocals and Clarke's electonics really gels. On my first few listens I thought that perhaps it didn't work for the other tracks on the album, but now I've got to know it there are some other good tracks. I particularly like "Walk Away From Love", a cousin (unsurprisingly) of early Depeche Mode singles "I Just Can't Get Enough" and "New Life", all jolly, chirpy keyboard riffs. I also enjoy "Happy People", featuring Clarke's rather sweetly adequate vocals. Ultimately, although there is one really good song and some perfectly acceptable ones, it's the quality and simplicity of the arrangements that shines through and makes work. Why I didn't listen to it at the time, I don't know - it's right in my era. At the time I bought albums by Depeche Mode, Howard Jones and Tears For Fears, all similar in many ways. Oh well, at least I've caught up now. In my first year of uni, I bought my first effects pedal. For reasons now lost in the mists of time, and possibly the mists of (ahem) something more intoxicating, I chose to buy a phaser. It was a Ken Multi MPH-7, purchasable at Maplins for about thirty beer tokens. It was by any discerning standards a terrible pedal. Made of cheap grey plastic, it was so far from the "true bypass" beloved of FX geeks nowadays that it had a noticeable effect on the sound of guitar even when switched off. Fortuitously though, it somehow sweetened the sound, on or off, and although capable of some fairly extreme sounds, worked best on more subtle settings. It was a great sounding thing. I lost the Ken Multi a long time ago but I've been meaning to get another phaser for a while. Given what I liked last time perhaps I shouldn't have been quite so snobby, but this time I thought I would get a "proper" pedal rather than some no-name brand, so I was looking at brands like Electro Harmonix, Carl Martin and MXR. 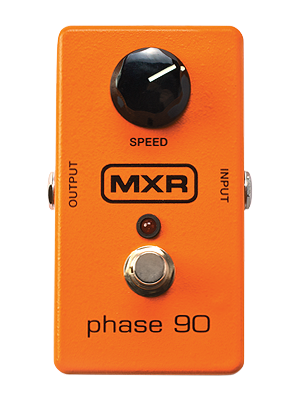 I tried a few out but in the shop it was a toss up between the EHX Small Stone and the MXR Phase 90. Eventually I couldn't resist the stronger sound and classic bright orange case of the Phase 90. Amazingly it cost about the same, in real terms, as that cheap Maplins phaser did all those years ago - and this is a US made pedal with a metal case and quality parts. Unfortunately, once I got it home and tried it with my guitar and amp, I found that it wasn't quite as I had thought. It always distorts - even on a very clean tone. It's not just my gear either; there is lots of discussion on the net about this and there is even a well-recognised "R28" mod that involves cutting a specific resistor out of the circuit and supposedly goes some way to curing this. (I might try this if I can get up the confidence to wire it up to a switch rather than just removing it). Luckily, where this does work is on overdriven and distorted sounds. Yes, the mid-range push is still there, but now it adds to the sound by making it just that little bit rougher, more distorted. It's very similar to the mild distortion added by a wah-wah, which also works well on crunchy sounds - in fact, it often sounds like an auto-wah, particularly on lead lines, changing the overtones and harmonies as you play. This is unquestionably where I would use it most and from this point of view it's a worthwhile addition. Given the similarity in tonality, I was curious to find out what the combination of the Phase 90 and my old Cry Baby (a late 70s Jen Super with a white Fasel) would sound like. Turns out - terrible. These two pedals don't play nicely together at all. The similar mid-range boost from both pedals combines to produce an overly harsh, gratingly distorted sound. It might be useful occasionally for certain deliberately unpleasant sounds but I don't tend to go for those. Lessons: I wish I'd read up about the Phase 90 more before I bought it. The shop try-out wasn't representative enough, but I should trust my ears more because I did catch a bit of these symptoms when I was trying it out. I should have tried more variants (e.g. the "script logo" version). But still, I'm happy with it for now, although I will probably try removing that resistor at some point. Of all the twenty albums I bought on our recent excursion, this is the one that made it first to my hi-fi. I could have chosen some real classics, but the song "Come On" has been stuck in my head for a couple of months now and I wanted to clear it. Usually repeated listens achieves this. If it doesn't then you know you've got a good song. Echoes isn't a classic album and I don't think it will de considered one in the future. However, it is as good a slice of contemporary, adult pop as you will find anywhere. 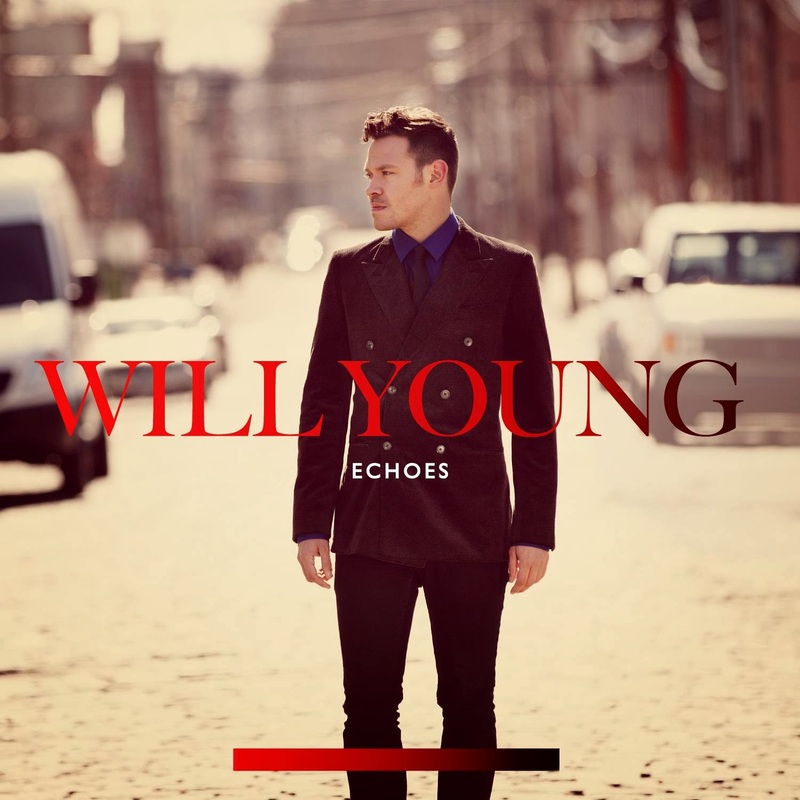 It's got plenty of good tunes, impeccable production, finger-tapping beats and Will Young is in fine voice throughout. I could have sworn that there are some other people singing backing in places, but according to the credits it's all him. In some places he sounds eerily like Jon Anderson, in others a little like Jimmy Somerville. What makes it stand out from other pop is an undeniable undercurrent of melancholy running through and pulling together the whole record. Given this, and given that all but one of the tracks (Kish Mauve's "Come On", ironically enough) are Will Young co-writes, it's hard not to draw conclusions about the state of The Artist's mind. Track titles like "Jealousy", "I Just Want A Lover", "Outsider", "Runaway", and "Losing Myself" don't make it sound like young Will is particularly happy. Still, it makes for some good music. His voice is a delicate instrument rather than a powerhouse and suits the downbeat mood, which is nicely in contrast with the often upbeat music. In other hands a song like "Come On" - which I do still like after having listened to it (checking last.fm) 29 times in the last week - could end up sounding too celebratory. It's a desperate appeal to stop someone leaving, and Young's voice rides on top of the big drums and anthemic arrangement and makes it work somehow. There are other good tracks - I like "Jealousy", "Runaway" (excellent bass line) and "Personal Thunder" - but the album as a whole also hangs together well and is a very pleasant listening experience. Apparently (I don't know Young's other records) this is a more "electronic" album than previously, and having Richard X on board as producer for all tracks probably makes this so, but to me this is just slick, modern pop. I'm not going to listen to this all the time but it hits the spot for certain moods. I don't want to sound judgemental, but this is a book only someone in marketing or advertising could have written. First of all, there's the conceit and arrogance. History's greatest philosophers have spent years thinking about God and millions of words attempting to understand and explain the idea. But Paul Arden can do it in about one hundred pages? That seems unlikely. I'll accept that the title is both tongue-in-cheek and an eye catcher, but I still think he secretly means it. Secondly, there's the simplistic, childish approach and layout. In advertising, there's value in presenting your ideas in short, punchy pages, because you're presenting simple ideas: buy this, think that. In philosophy, you're not trying to sell anything, and any attempt to reduce complex ideas to the level of an advert is bound to miss the point. I find it difficult to understand why this book was published, other than the obvious and reductive reason that people might pay money for it. 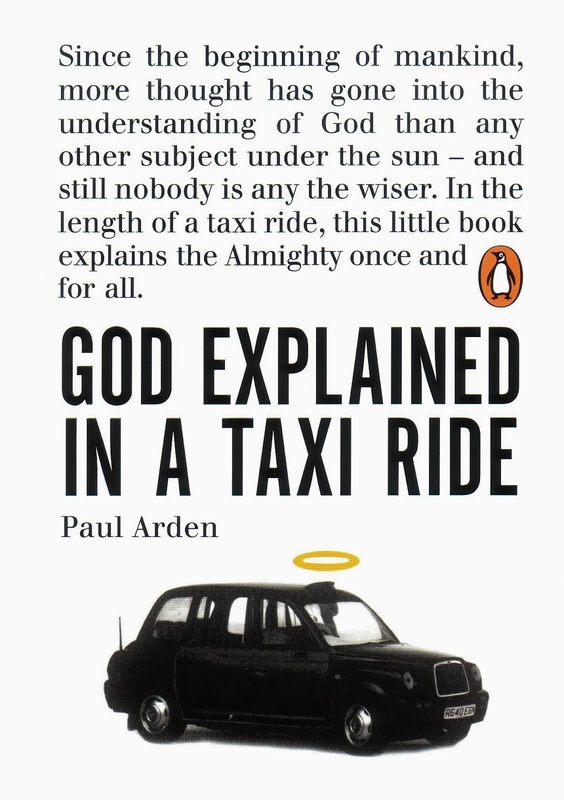 It's a collection of vague, random thoughts on God and religion, with no obvious organisation or direction. Here's a page that suggests building a mosque at ground zero; there's one with St. Anselm's proof of God's existence (with the footnote that the proof might require "another taxi ride to think about! ", when in fact it could be countered by a child, or in a two panel comic). Each brief thought is given its own two page spread. The only insightful comment is marketing related, which speculates that Scientologists are perhaps more committed because they have invested more. Finally, Arden gets to his point. Something caused our universe to come into existence, call it "creation" or "evolution" or "chance"; these are just names, as is "God". So why not call it "God"? But giving something a name doesn't explain anything - whereas actually, those other names do at least embody an attempt at explanation (and real explanations are complex). This is a simple book for simple minds. It's tempting to say that it's by a simple mind. Paul Arden appears to have been a successful advertising executive, but judging by this and what I have seen of his other books, his skill is in stating the obvious in simple, attractive ways. There's no depth here - and, ultimately, no explanation.